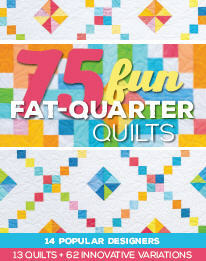 from 75 Fun Fat Quarter Quilts. The base block gives rise to 7 quilt patterns in this book, which means it's quite the versatile block. I happened to make too many blocks, cutting strips so as to have variety. I could have easily done a four by four layout, but didn't want a baby quilt over 48". Thus, a three by three layout with 3 1/2" borders, so it finishes around 42". That's a good baby quilt size - just right for tummy time! For this pattern, a variety of prints works well. I needed some boy quilts, and found 30's prints in primary colors in my stash. 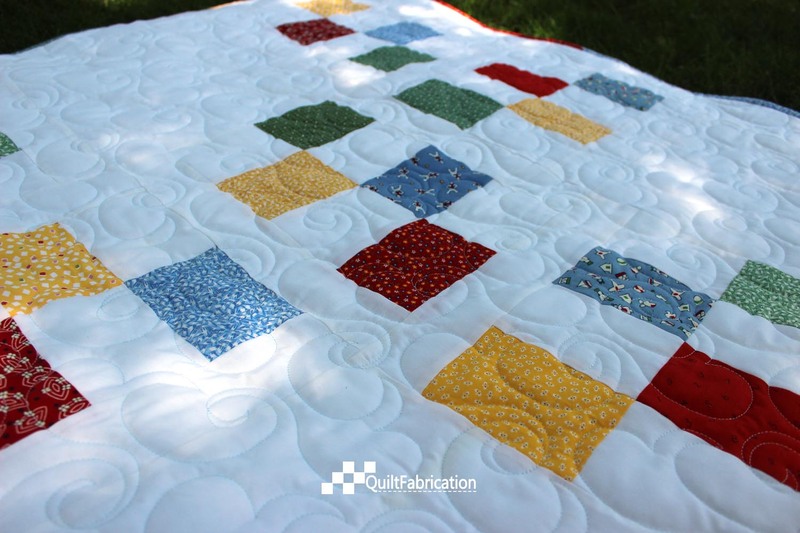 Add in Kona Snow, and there's a quilt! 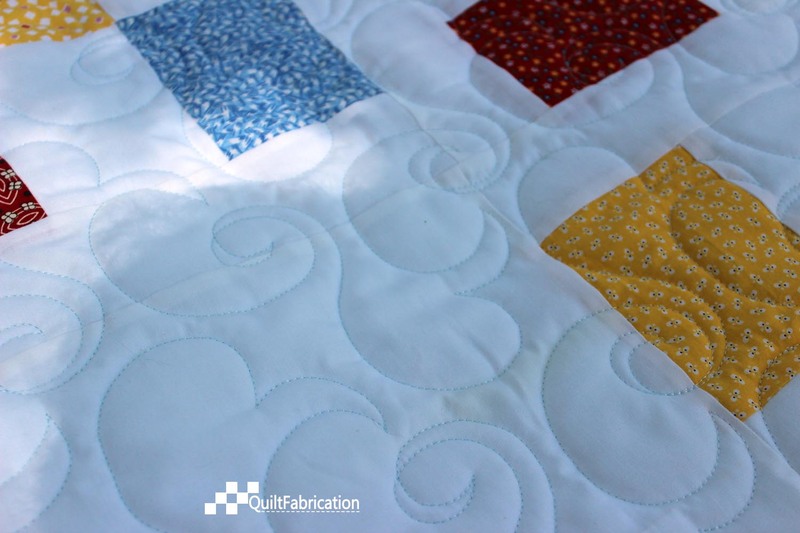 For the quilting, I used Glide Baby Blue thread along with the pantograph call Bluster. It's the first time I've used Bluster and I really like it! Gives the quilt a nice soft look with all the puffy crescents. And of course, my trademark flannel on the back. I didn't want white binding on this, and tried really hard to use up the rest of the fabric. Opting for random color placement, I think it turned out just perfect! 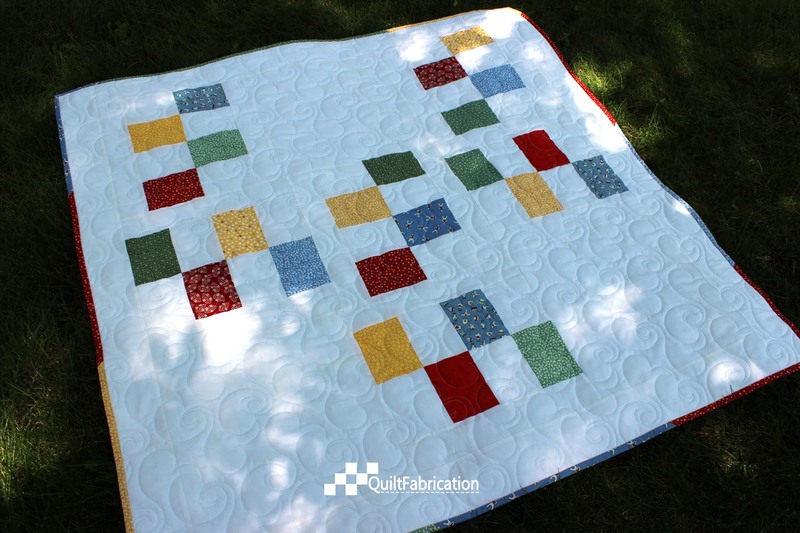 Here's the quilt again so you don't have to scroll to the top just to view the binding. I got really lucky that none of the seams ended up in the corners, supposedly a no-no. Actually, I think the reason is that there's just too much fabric in the corner to make a nice fold. Otherwise, I don't know why it's frowned upon. And don't think the excess blocks are going to waste. 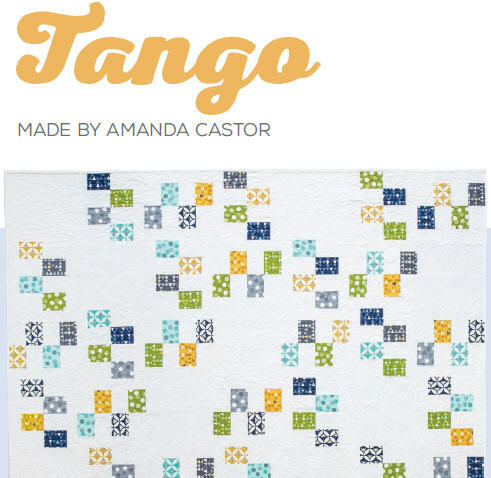 I've put together one of the other patterns, Alternating Blocks, also in a baby size. That gets on the frame soon, hopefully to be finished next week. What a great baby quilt. A scrappy binding is always fun. It looks wonderful and the flannel must make it so soft. What a great quilt. 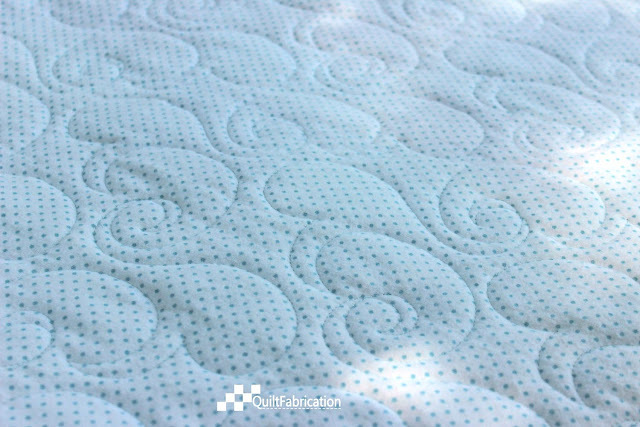 Having a large background area showcases the quilting. 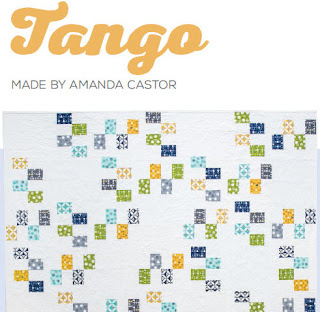 I love the contrast between the rectangles and curvy quilting and between the color and white. The scrappy binding seems just right.